There are only a few parameters to set up in coloured inversion while the default parameters should work for most inversion projects. A Butterworth filter needs to be defined by low and high cut frequencies and their corresponding slopes. Seismic amplitude spectrum smoothing is controlled by only one parameter – the width of a Papoulis taper. White noise is added to the algorithm to stabilise the derived operator. Finally a phase rotation can be either manually typed in or automatically determined by the program. There are also 3 time windows that users need to select. 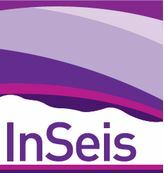 They are windows for impedance log, seismic data and phase estimation which allow the targeted inversion to be conducted. 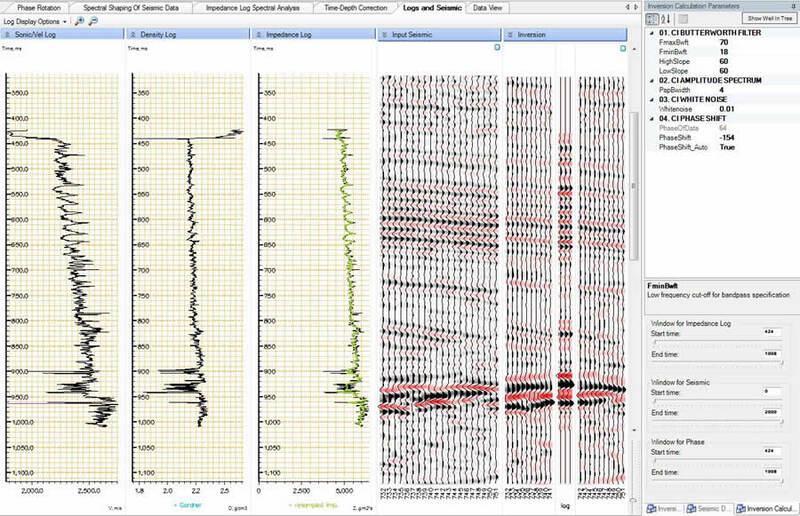 A section of inverted seismic traces is displayed along with a Butterworth filtered impedance log from which users can quality-control the inversion results. Input seismic traces and inverted seismic traces with a filtered impedance log inserted in the middle. The most right panel is the inversion parameter grid and 3 window slide bars.